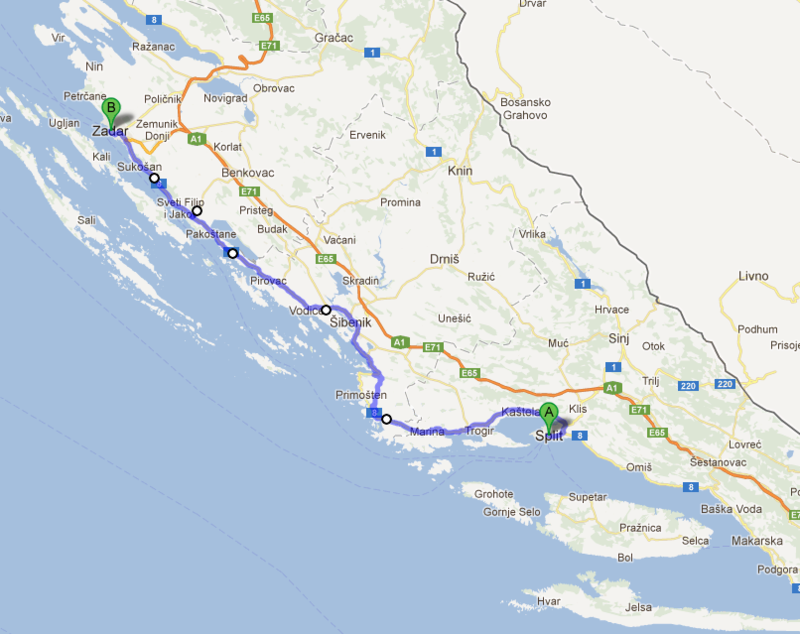 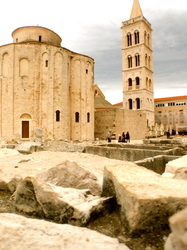 If you head north 3 hours along the coast you will reach the coastal city of Zadar. 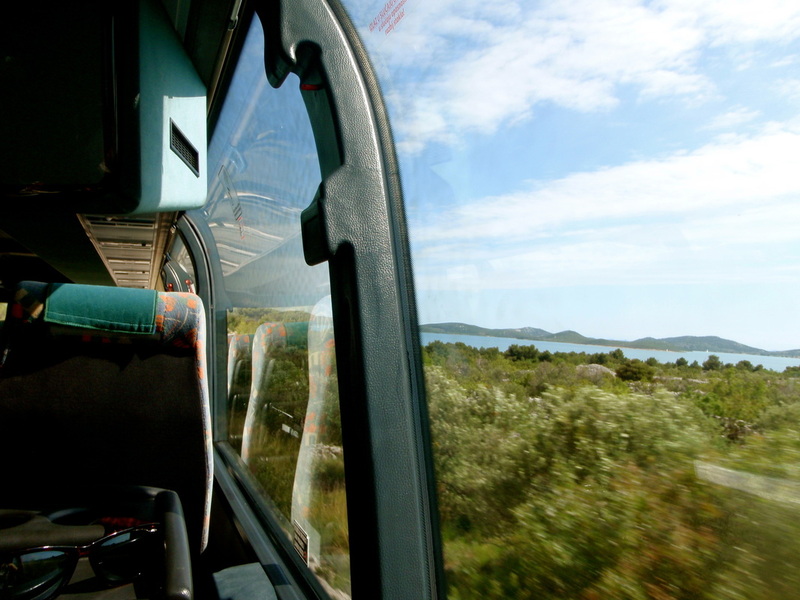 As you travel up you can't help but stare out the window in amazement at the crystal clear turquoise sea and mulitiple islands. 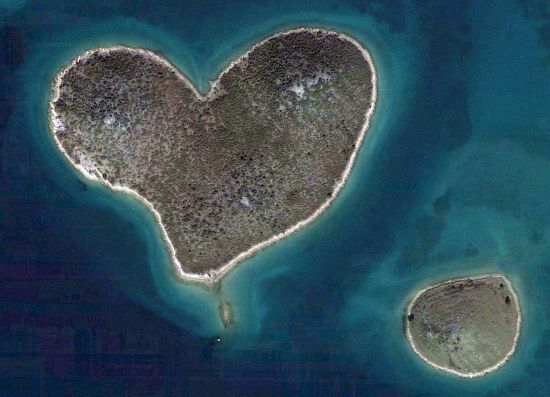 One of these islands is called Galesnjak, which has received a lot of media interest ever since it was discovered on google maps as the most perfect shaped heart island in the world! 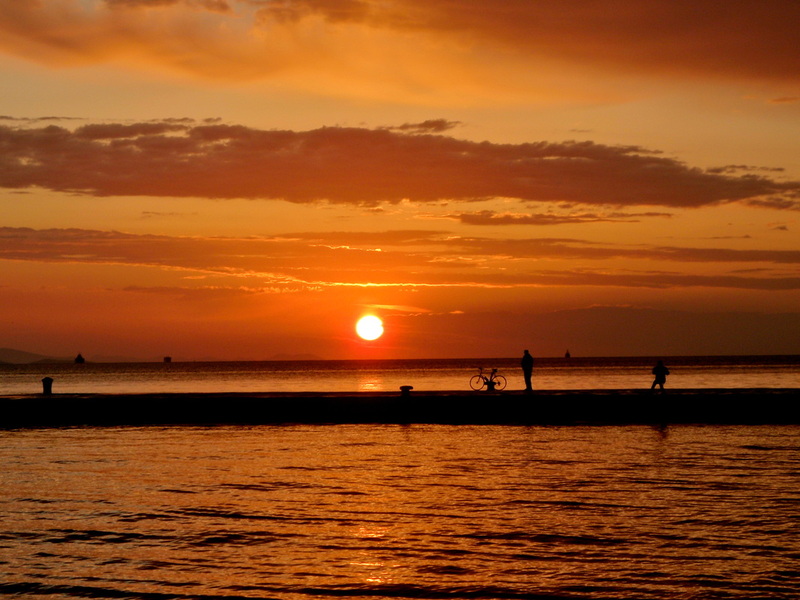 Alfred Hitchcok once said that Zadar has "the best sunset's in the world", and it's easy to see why. 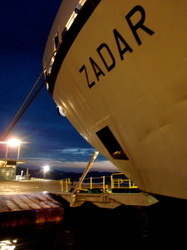 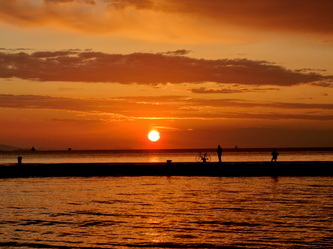 To make them even more enjoyable Zadar has the fabulous 'Greetings to the Sun". 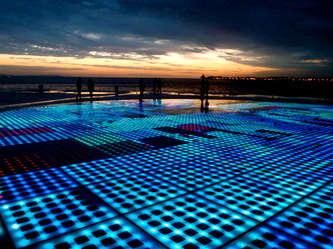 Throughout the day it saves solar energy so at night time you get to enjoy a beautiful and ever changing light show. 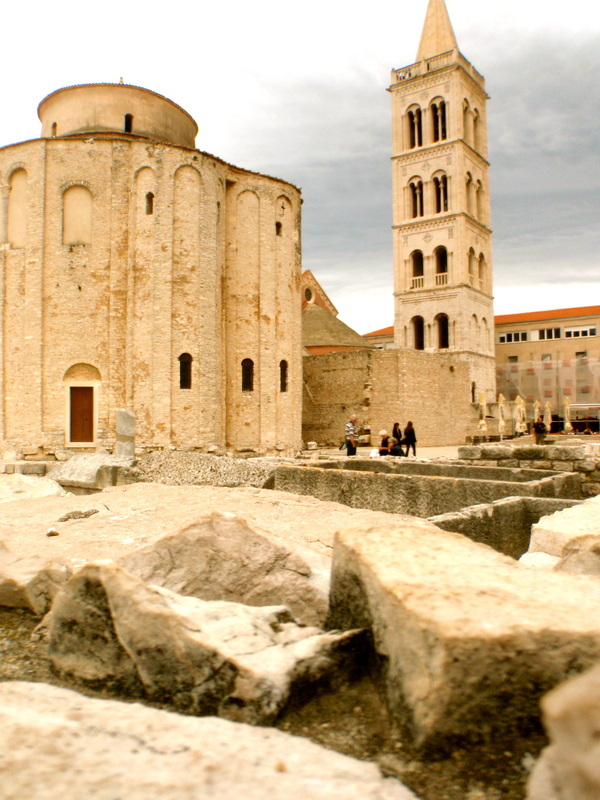 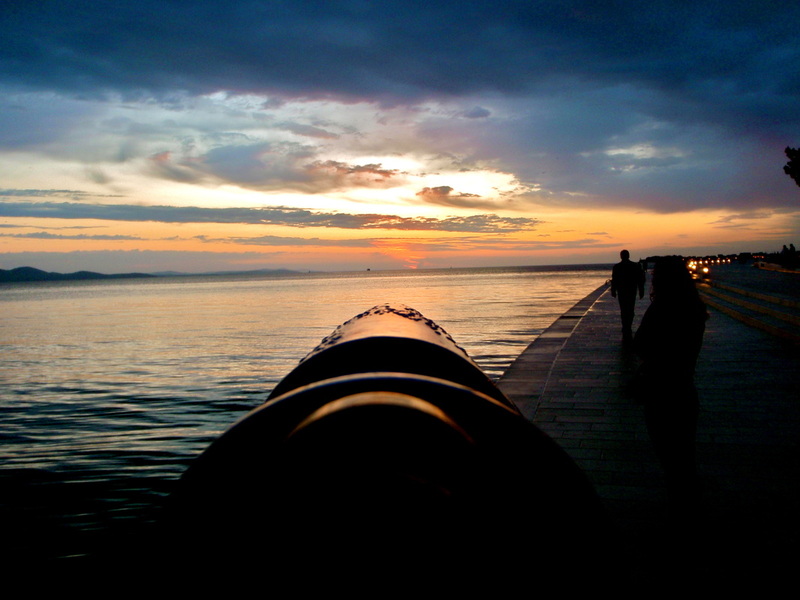 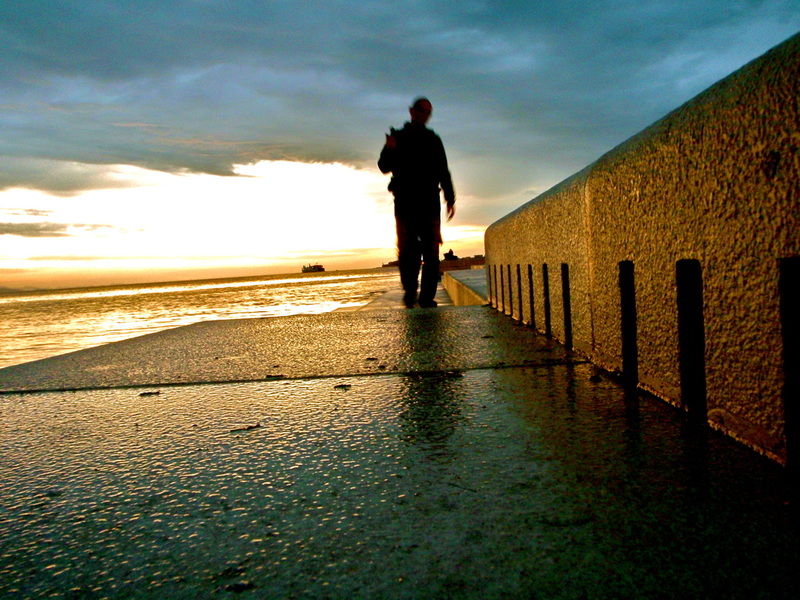 Zadar is also famous for having the world's first sea organ! 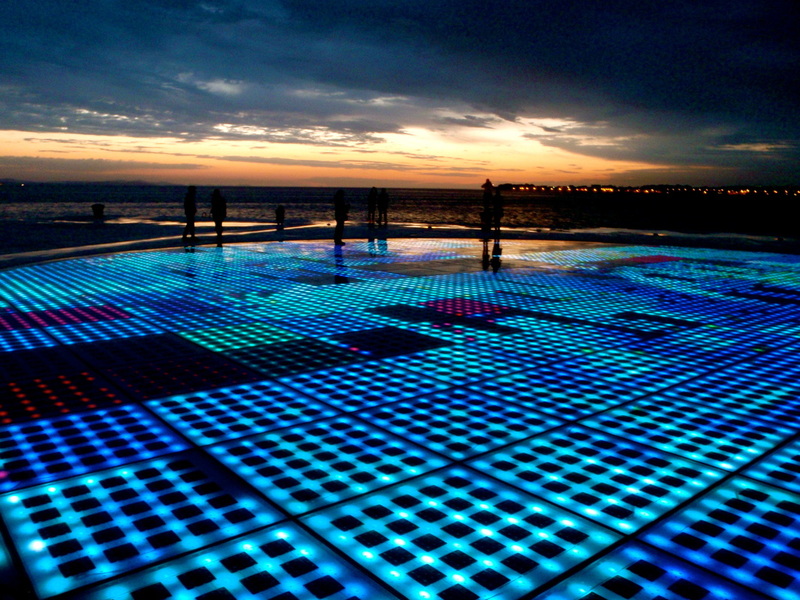 Carved from white stone and 70 meters long, the movement of the sea pushes into the 35 musically tuned tubes, and creates a beautiful hypnotic sound. Expect to see a lot of tourists with their iPhones up against the holes, all hoping to capture the unique sounds!